In 2018, Palm Air will be celebrating its 10 year anniversary. Palm Air has been faithfully fulfilling the HVAC needs of residents and businesses in South Florida since 2008. Their goal since they’ve started has been to improve the quality of the air you breathe. Palm Air is based in Boca Raton, Florida and provides HVAC installation, maintenance and repair to businesses and residential properties. They also service heaters and pool heaters and provide 24/7 emergency AC repair service. 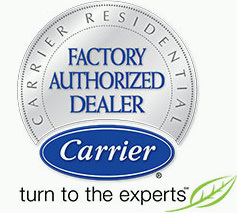 Palm Air is an authorized dealer of Carrier products such as AC’s, thermostat controls, heat pumps, air filters and more. During it’s 10 years, Palm Air has received the President’s Award from Carrier three times (2013, 2015 and 2017). The President’s Award is the highest Carrier dealer honor and is bestowed upon Carrier dealers who exemplify leadership and management, customer satisfaction, expertise, business growth and operational excellence. It is an annual award designed to encourage self-analysis and reward individuals who have exceeded high expectations as Carrier Factory Authorized Dealers. Palm Air prides themselves in being a breath of fresh air to their South Florida clients. 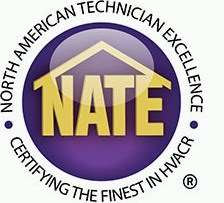 They differentiate themselves from other HVAC contractors by taking a whole-home approach. They consider the entire building structure and indoor air environment to better identify underlying issues that can have significant impacts on the performance of the HVAC system. Palm Air’s team of friendly, knowledgeable and hard-working staff continues to grow and improve every day. Palm Air is excited to celebrate this significant milestone and looks forward to the opportunity to continue providing “Cleaner, Colder, More Comfortable Air” to South Florida for many more years to come. Congratulations Palm Air!